Altitude acclimatisation needs to be taken seriously, especially if you are flying into altitude (that's above 2,400m or above) from a location at sea level. Your body needs time to adjust to the lower levels of oxygen in the air and needs to produce more red blood cells. This is particularly a problem in Peru as many travellers fly directly into Cusco from Lima, which is a jump of 1,800m. Not everyone is affected by altitude, although most people will feel some differences for the first day or so. There is no knowing before you travel how you may be affected as it has no correlation with fitness. That said, if you have suffered before, you can expect to be more prone than others. Symptoms of mild altitude sickness include some or all of the following: headaches, nausea, shortness of breath, lack of appetite, dizziness and fatigue. It is important to remember that these affects are simply due to your body adjusting and whilst you may be feeling unwell, you are not actually ill. 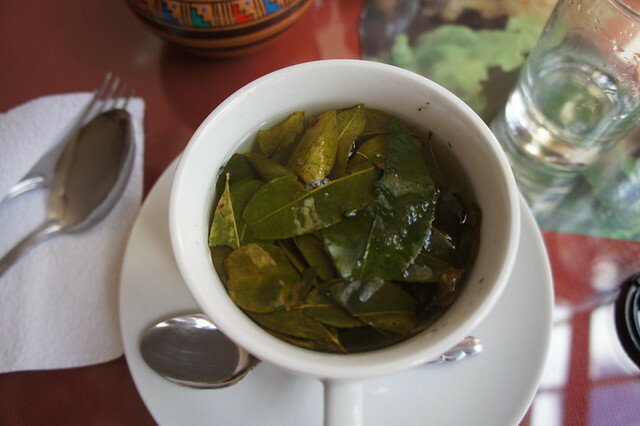 The best cure is to lie low on your first day of arrival, avoid alcohol and to drink lots of water (and, or) coca tea, a local homeopathic remedy. If you rest and resist the urge to go out walking, then within 24 hours you should start to feel much better. On your second day at altitude, you should start to feel your body adjusting to the altitude and should be able to attempt some gentle activity. By day 3, you will be in much better shape. We recommend at least 2 - 3 days acclimatising before you commence a trek. As well as the above, local remedies, there are also some over the counter prescription remedies to combat altitude sickness. Diamox can be prescribed and should be taken one day prior to arriving at altitude. However, this medication is not without its side effects (nausea and frequent need to urinate) which may end up more of a hindrance than the altitude sickness itself. The altitude shouldn’t preclude you from visiting with children. We have sent families to Peru with children as young as 3, so there is no need to avoid it. In fact, we often find that children bounce back from altitude quicker than their parents! The same rules apply to children as to adults; rest, relax and keep your fluids up. We do recommend packing some familiar snacks from home for a bit of home comfort energy boost. If you are out trekking, you are bound to feel the symptoms of altitude sickness again when climbing above Cusco's altitude to one of the high passes. Your headaches and nausea may well return and you will find yourself out of breath regularly, needing to make plenty of rest stops. This happens to everyone, including guides and porters and is nothing to worry about. Once you descend, your symptoms will ease off. The important thing to remember is to listen to your body and take the hiking at a slow and comfortable pace, it is not a race to get to the finish. And remember, your guides are extremely experienced and know the difference from mild and severe altitude sickness. Do remember to make sure that your travel insurance covers you for trekking at altitude. Many policies include altitudes of up to 3,000m as a standard, but you may need to pay a premium above this height. For our tailor-made customers to Peru, we include a free emergency assistance program which allows for up to two doctor’s visits to your hotel and medical assistance. This is not a substitute for your regular travel insurance, but does ensure that if you are struggling with the altitude, we can get you some medical advice. What is it like to trek the Inca Trail?